Welcome to Heianbo. Ideally located from JR Kyoto train station, this Traditional Ryokan is full of character and atmosphere. Within Heianbo, guests cross a small traditional Japanese bridge, to reach the guest rooms. All of the 20 guest rooms at Heianbo are Japanese-style, and most of the guest rooms have their own private baths and toilets (there are 2 guest rooms without their own private toilets or bathing facilities). Notice for guests with allergies, this ryokan has 2 pet cats. This is is a very cozy place, well situated in the heart of Kyoto, 3 min walk to Kyoto station. The owners are very kind and helpful . The rooms are japanese style,very clean and comfortable and the breakfast is a work of art, a really amazing home cooked meal. We recommend highly this place ! In 2014 I stayed at Heianbo Ryokan, I found it welcoming and comfortable, so much so I wanted to revisit on my trip to Japan this year. The Ryokan provides you with an experience of traditional Japanese rooms, Onsen and breakfast, it is family run and they are welcoming and friendly, offering advice on where to visit and even providing me with a map and instructions of Hakone, when I mentioned that was my next visit after Kyoto. The room itself was comfortable, with an entrance way, a small private bathroom and the main room, which is the living and sleeping area, there is a chabudai (short legged dining table)and zabuton seating, a futon bed is provided and is very comfortable, there is also a small fridge, tv and hot water dispense. 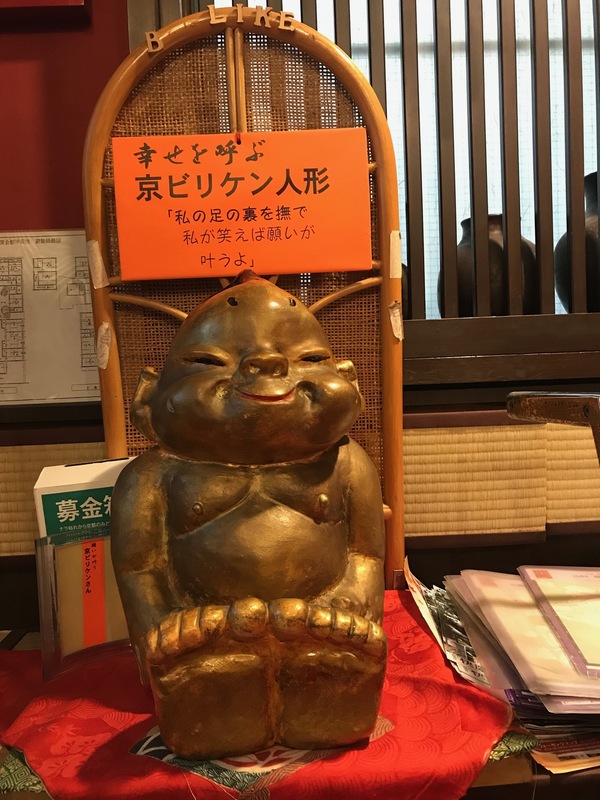 If you want to use the Onsen you will need to ask, as there is no separate Onsen they need to make sure it is free for you to use, it was very relaxing after a long day of exploring Kyoto, if you're not sure about using an Onsen, the rooms do have a private shower and small bath. Breakfast is served in a shared dining area, the food is excellent and gives you a taste of what a Japanese breakfast is, they serve steamed rice, miso soup, a dish which is either fish or omelette roll and various side dishes, including a small salad and fruit. The location is perfect, the Ryokan is 5 minutes away from Kyoto Station central exit, this station can connect you to every area of Kyoto, with the Shinkansen, JR and subway lines located within the station and also the bus station located right outside. 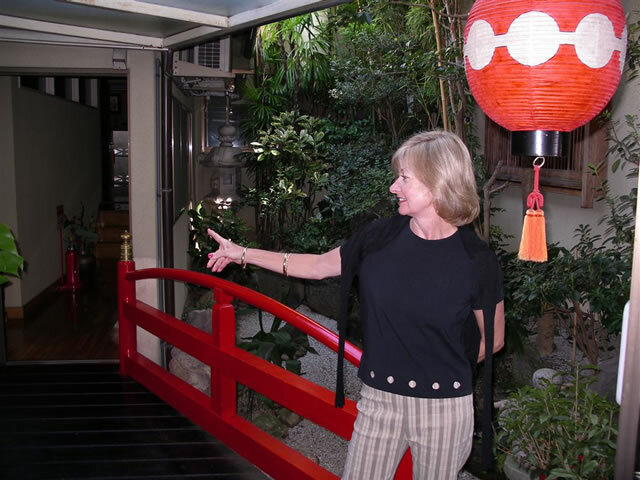 The Ryokan is also a 5 minute walk away from Kyoto tower and many dining areas to choose from. Even though the Ryokan is so close to a very busy area the room is quiet, the only time I heard noises was he other guests returning to their rooms. If I return to Kyoto, this will be definitely be where I want to stay. Amazing stay close to Kyoto station! We stayed two night at Heianbo. We arrived a bit before check-in time but our room was ready so we got it a bit early. The staff helped us with our luggage as our room was upstairs. They explained to us where and when was breakfast, as well as how to use the public bath. Our window was facing the mini inner garden so it was quiet. All amenities were there and despite the toilets not being in the room they were just outside of it, and I don't think many other guests used these as there was only our room up the stairs. The public bath was lovely and felt like heaven after a heavy walking day. Breakfast was also very nice, different both morning. There is plenty enough food to keep you full for the morning. On our second day, they kindly let us know about a flea market at a nearby temple. We wouldn't have known without them and it was a great experience. I even bought a really cheap vintage kimono! Also we saw the resident cat and he's adorable. So in conclusion we were very happy with our stay! We recommend it, especially with the convenience of being so close to the station for trains and buses. Next time we're in Kyoto we'll enquire if they are available again. We chose the Heianbo based on its location, price, and the reviews and it more than exceeded our expectation. This was my husband and I's first time to Japan. We came from Tokyo on the bullet train and it's about a 10 minute walk from the station, which was a relief. We made the mistake of packing large suitcases. Even though they had wheels, we spent a lot of time carrying them up and down stairs. When we arrived there, they were very friendly and accommodating. She took our bags to our room and explained that there was a traditional breakfast every morning for us as long as we let her known the night before if we would want some. Working with Japanese Guest Houses made it easy to get all of our details in order as well; including the fact that we had to pay cash when we arrived to cover the price of accommodation. The property itself is beautiful. It’s noticeably clean and well maintained. It’s also very quiet, so getting to sleep was no problem. The room we stayed in was very spacious; there was room for both of our bags, space to walk around in even after our futons were unrolled, an eating table with a teapot and chopsticks, a full bathroom, a small fridge, and a backdoor that lead to a small viewing garden. There is a cute cat that roams around, but we only had the pleasure of meeting him once. Highly recommend. I had a lovely stay at Heianbo with my young family. The staff are so friendly and helpful, and our room was beautiful. Definitely recommend! It´s very close to the main train station and staff was really helpful! I´d definitely recommend it. Very good place to stay. Very close to the the kyoto station. Staff very friendly and helpful. Breakfast really good (Japanese breakfast) I will come back definitely. Wanna a very convenient place to stay. Close to train station but in quiet neighborhood. Good prices. Very Japanese style. Good breakfast. Nice staff. This is the place. So close to the new underground food mall. Been to Kyoto several times and stay here. This is a great secret of Kyoto. We love the location as it is close to Kyoto Station. There're also eateries in between the ryokan and Kyoto Station, so food is not a problem. The Japanese breakfast was delicious. The staffs were friendly. Our room is attached to a private bath and is spacious. 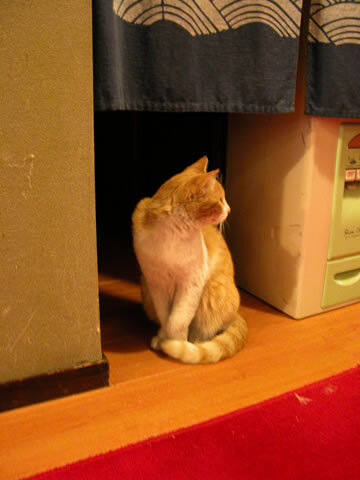 However, the floor just outside the bathroom poses a safety hazard since it is not even. One of us almost tripped when stepping out of the bathroom. Having said that, we still enjoyed our stay very much and should have spent more time there. As a solo traveler, being two blocks from Kyoto station is a major plus. The rooms are ryokan small. I think these were the cleanest sheets I have ever slept under. Did not eat there. Didn't interact much with the staff altho they were quite friendly. This is not a complaint, but don't count on them to give much help with directions. VERY affordable. I would definitely stay there again. I had misplaced my glasses and thought they were lost. On check out, the proprietor hands me my glasses. Hurrah! Very nice place, very good location near the train station and bus station, making of it the ideal base place to visit Kyoto region. Excellent breakfast, nice staff and nice hot bath. This place is beautiful! Our room was amazing, and the whole atmosphere was very calming and peaceful. The staff were very friendly, even with the slight language barrier we had. The breakfast was delicious!! We couldn’t believe how much food there was, and it all tasted great! It was a wonderful place to stay during our vacation, and was a pleasant change from the standard hotels. I would highly recommend this place!! It was our first time to stay at a ryokan. The ryokan is nice and cozy; it is bigger than we expected. The staff is very friendly and helpful. Although they speak little English, it is good enough to communicate with us, and help us to find the transportation and attractions. The breakfast was excellent. You should not miss that. We stayed there for 3 nights, and had their breakfast every morning except the last day, we needed to leave for airport very early. It was raining while we were there. Everyday, they provided umbrellas at the entrance for us to use, and gave us towels to dry ourselves when we came back. It was very thoughtful. It's near to Kyoto Station, hence is very convenient. There were restaurants, shopping malls and cafes around. We will definitely go again, and recommend it to others. The location is ideal, a few steps away from Kyoto station. I can't compare with other Ryokans because it was our first time but I guess we found there everything we were looking for. The rooms are clean, the atmosphere is peaceful and the staff is friendly. I recommend trying the japanese breakfast as it is quite an experiment to get fish, rice and miso soup at 7am. We opted for the en suite bathroom so we stayed on the 2nd floor. There was no elevator since this looks like a house that was extended or renovated. Overall, we had a pleasant stay. The hosts were helpful (we had carry our luggages up the stairs and they helped us) and very accomodating. You leave your keys at the front desk during the day. The onsen was wonderful! Located at the first floor, it is a private hot bath which can accomodate at most 5-6 people. You just inform the staff what time you’ll use it and they will call you as soon as it is ready. Our room was a bit outdated but it was okay since you sleep on double mattresses and the blanket was so soft you’ll have a good night’s rest. We did not get the breakfast but opted to try it and it was so good and filling. We liked it so much we ended up ordering breakfast for the rest of our stay. I recommend ordering the breakfast for one day when you make the reservations and if you like it just inform the staff that you’d like to add breakfast. It cost jpy1,000. The location is very good. Near kyoto station and bus station. 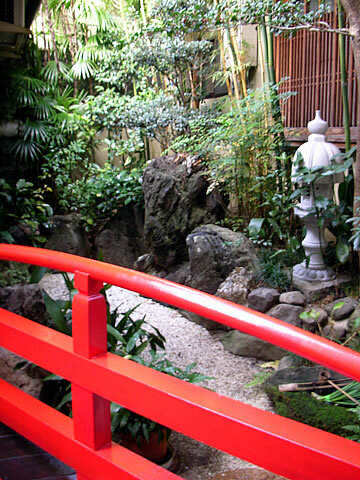 The ryokan is also across a tea ceremony place (tea ceremony juan). There is a cafe (delifrance) near the ryokan if you prefer bread and coffee over their rice breakfast. There is also mcdonalds and starbucks beside delifrance. I highly recommend ryokan heianabo! Will defintely stay here again! Ce ryokan est très bien placé à deux pas de la Kyoto Station. L'accueil y est très plaisant. Le petit déjeuner préparé par la patronne des lieux était délicieusement japonais. La chambre était propre et confortable. Ce lieu de séjour contribue à apprécier la visite de Kyoto. First time in a Ryokan and it was a very nice experience. The hosts were nice and help me with train schedule and places to visit. Very nice room (quality/price very good). And it is conviently located only 5 minutes from Kyoto Station. The Japanese breakfast was also very good.Thanks for the superb experience. Vey Vey nice stay with gorgeous hosts ! 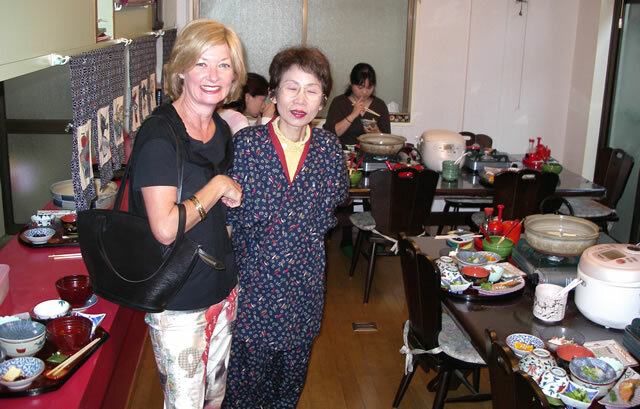 Dear all, this ryokan is very cosy, well located, very tidy, and the hosts are so nice and willing to help you and make all they can for you to have a trip great. A special thanks to Nahu ! Our ryokan stay was very nice. The staff was very accomodating and the one morning we ordered breakfast it was very good. The location was only minutes from the Kyoto train station which made it very convenient to get around. Thank you very much for making our stay in Japan so nice. It was very pleasant to stay in this traditional ryokan. It's near to the Kyoto train station so it's convenient for both traffic and shopping. The room we stay was clear and nice. And the staff was very kind and helpful. I'm willing to choose Heianbo again when I'm going to stay in Kyoto next time. This ryokan is easy to find and about 5 mins walk to Kyoto station. Considering the location, its price is really reasonable. The room is neat and clean. The staff is very friendly and helpful. We only ordered 1 breakfast through the 3 night stay since we would like to try out other cafe nearby. The breakfast was good. Overall it was a really pleasant stay for us. Excellent position near main station. Comfortable and private accommodation; traditional sleeping quarters with excellent small western appointed bathroom Friendly and helpful staff. Great value Japanese style breakfast is definitely worthwhile. We have traveled to Japan in December 2013, and stayed in 4 different ryokans at 4 different cities. Haneianbo is the best among 4. The room is decent size to cater 2 adults and 2 primary school aged kids. It is clean with own toilet and bathroom. The male owner can speak English quiet well, and they are very very friendly. Price is also very reasonable. We have tried their breakfast where you paid 1000 yen per person. It is so fulfilled with unlimited rice and miso soup and the portion is big. Location also is the best, so close to Koyto station. We are very happy with everything. The only downside is that you need to pay your accommodation in cash where it took us a while to find an ATM that accepted international ATM card. Travelling in Japan has been such an amazing experience. As it was our first time in Japan, we wanted to stay in a Ryokan. Heianbo was the best in its location, staff, atmosphere etc. They were ever so friendly and accommodating to our needs and assisted us by explaining in detail in to get to places. We were so happy with everything. Every traveler should experience staying in a Ryokan & my suggestion is Heianbo. Thumbs up for Kanaka-san. This is is a very cozy and friendly place right in the heart of Kyoto. 3 min walk to Kyoto station and a few bars, supermarket around the corner. The owners are very friendly and help you with any query. They insisted that we take an umbrella on our way to the airport (which was obvious not to be returned) since it was raining. The rooms are japanese style and the breakfast is well worth a try! If I should be back in Kyoto some day I will come back. + : located at 2 min walk to Kyoto bus station, where most of Kyoto bus lines stops. So very convenient to move throughout Kyoto. 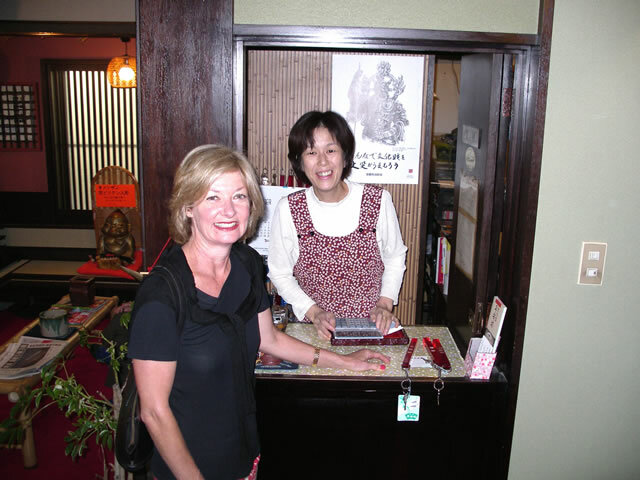 Very nice, accomodating and helpful Ryokan's owners. Takkyubin service to send your luggages to your next location. Excellent traditional Japanese style breakfast. - : difficulties to obtain good water temperature in our individual bathroom, but common bathes works well and are clean. Just few blocks away from Kyoto station, Heianbo proved to be an excelent choice to know the japanese stile. The clean and spacious rooms, along with the cordiality of the owners distinguish this ryokan. The only drawback could be the location if the guest has to many luggage: the ryokan does not has an elevator to high floor. Heianbo is in a great location, within minutes of Kyoto station. The staff is really friendly, and the breakfast is a really amazing home cooked meal. The rooms are clean and comfortable, but there is no view. Also, the shared bath was really nice and clean, but the bath water was never the right temperature. The location was great, just a few minutes walk from the JR station. The ryokan is welcoming, with wonderful breakfasts and a nice public bath. It was less expensive than other ryokans, basic but still nice, and thus an excellent value. I would definitely stay there again! Nice staff and cute neko :) the room is clean and despite of having a private bathroom in our room we guys went to the public one to experience the local way of having a bath. Nice breakfast also. The location is also convenient, just next to yodobashi and train station. There're also a number of pubs and restaurants nearby. We lived at Heianbo for one night during our backpackingtrip to Japan - and it was just perfect. The staff was very helpfull and the room was very nice (clean, spacious, calm at a good price)! I especially liked the atmosphere at this Ryokan and it was easy to find from the station. Would recommend it to anyone :). We stayed at Heianbo for one night to get a taste of traditional Japanese accommodation and it was lovely. So close and central to the station. The room was soooo spacious, very clean, and the whole place was beautifully kept and very reasonable. Highly recommended! Stayed here for one night during a recent tour of Japan, it was a great change from the hostels I had frequented before it! The owners were extremely friendly and I loved the room decor with the lovely little rock garden in the corner. And the onsen was absolutely awesome after a hard day walking around Kyoto! Saw the cats a few times and they were very cute, gave things a nice homey feel. And the traditional breakfast was delicious and well worth getting up early for! ;) And extremely close to the station, very easy to get to once you find it. Really, nothing much to fault here! I would certainly recommend a stay at the Heianbo Ryakon. There are many positives to staying her. One can get a real Ryakon experience. The staff was very accommodating and pleasant. I recommend the breakfast that was both traditional and prepared with a variety of Japanese foods. The location can't be beat (although the directions on the webpage need to be clarified). The bath was clean but somewhat pedestrian, a bit of a disappointment. We stayed at Heianbo for one night. We were told that we couldn't miss that experience. It didn't disappoint us at all. 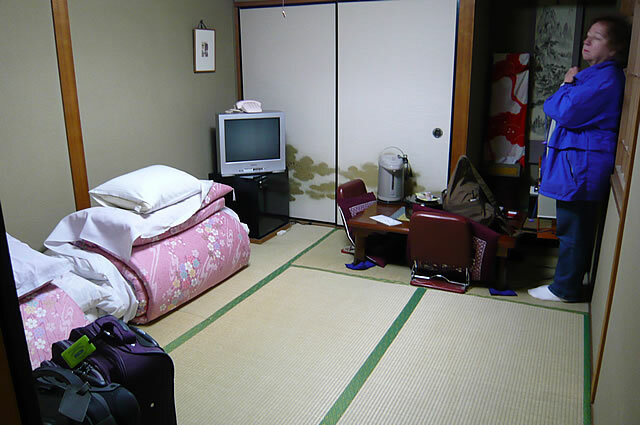 Really nice and spacious Ryokan, clean and very close to the station. Also lovely people. Highly recommended. I stayed here on my own for one night (way too short a stay for everything Kyoto has to offer!). It is very convenient to the station, and a bearable walk to all the attractions across the river around Kiyozumi Temple. You can nip back to Porta under the station for a great and very cheap meal. Room was very clean and comfortable, and staff very friendly. Breakfast is well worth the price for the experience. Flexibility was very nice as they provided early and immediate check-in! Maps were given and the ordering of breakfast and making at a convenient and rather early time to fit our schedule were great additions. Staff was very friendly and nice. And the room was spacious and clean. Location cannot be beat, very close to Central and easy access to buses. This ryokan is very close to Kyoto station, the staff is friendly and the Japanese breakfast is excellent. The room was clean, nice and quiet. It's the best ryokan in Kyoto I've ever experienced. 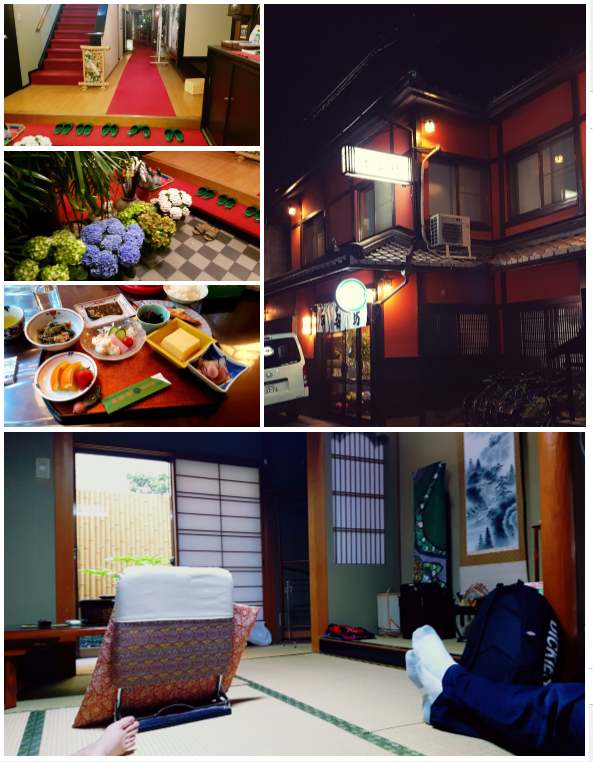 We had a great time during our stay in this traditional ryokan. He is located just a couple of minutes walk from the central train station, which is really convenient, because Kyoto is not that small and can get pretty crowded. The staff was really helpful, so I would definitely recommend this place so for your next stay in Kyoto. We enjoyed a very good stay at the Ryokan Heianbo. The location is very good, near the station and right in the middle of town. The room was very clean and comfortable and the breakfast was a work of art. This ryokan is perfect! Having chosen this ryokan for our stay in Kyoto is the best decision of my Japan trip this time. We stayed in a 3-pax room for 3 nights and the price we paid for is definitely very worthwhile for such a good accommodation. It is very near Kyoto Station, beautiful inside and outside, has big and comfortable room and really really nice and helpful staff. The living room where we get wireless access from is very cosy and beautifully decorated. Approach the staff if you can't decide where to visit and ask them for directions if you don't know how to go. They're very helpful and willing to recommend places to go and give you the direction to go to. The sweetest thing the ryokan did was to give us a note written in English to thank us for the stay. And they gave us some farewell candies too! Really thoughtful! Will definitely go for this ryokan again. ps: We didn't have our meals in the ryokan so I'm only giving a score of 3 (neutral) for food. The ryokan is nice & cozy and staff are very friendly and helpful. Breakfast is great too. Location is very near to Kyoto Station, hence is very convenient. The ryokan is nice and cozy, with friendly and helpful staff. The breakfast is great too. It's near to Kyoto Station, hence is very convenient. It was a very pleasant stay for us.